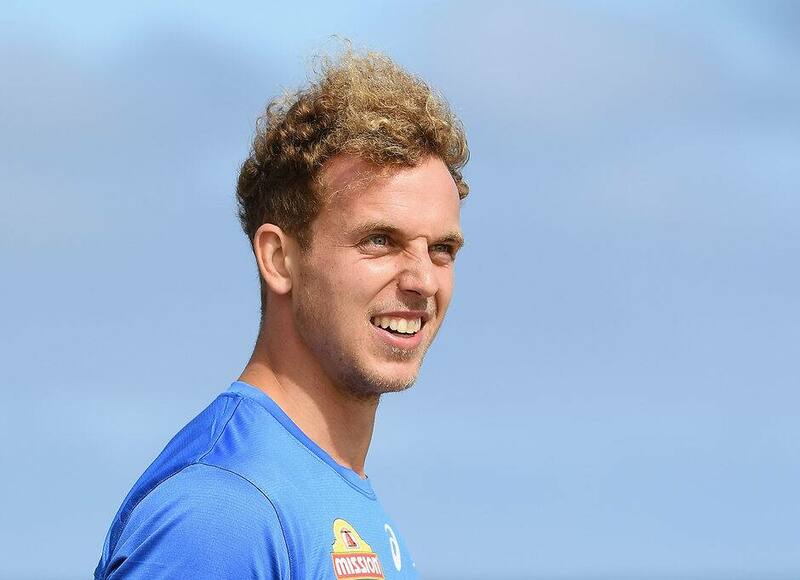 Mitch Wallis knows all about what it takes to come back from a serious injury. Having had support from those within the AFL community made a huge impact on him after his leg injury in 2016 – which has seen him reach out to Hawthorn star and reigning Brownlow Medallist Tom Mitchell. “Obviously going through very similar circumstances I remember the early stage of the injury very vividly and the days following the incident. I had an outpouring of support from all over the football community,” Wallis told foxsports.com.au. “The hardest period is the first few weeks when you’re in the most pain and battling the unknown. I felt an energy to help Tom as soon as I found out. I’ve lived it, so anything I can do to make his recovery any easier I will. “I got my confidence from Michael Barlow and Michael Voss; players who have had serious injuries but returned to have great careers. Wallis remembers the impact former Fremantle and Gold Coast Suns player Michael Barlow had on him during his recovery. “Michael reached out and came to my house. He made the time and effort to suss me out and get my address; I will never forget it,” he said. “I didn’t know him very well at all, but he took it upon himself to come around and meet my family and then just be there as a voice. He was a real nice voice of reason spoke to me about how things do get better. The only slither of light in stories like this - reminds me the friendship Menzel & Clay Smith struck. All times are GMT +11. The time now is 10:46 AM.